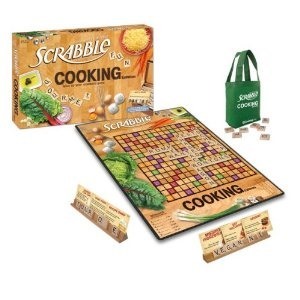 I saw the cooking and gardening editions of Scrabble at my bookstore yesterday. 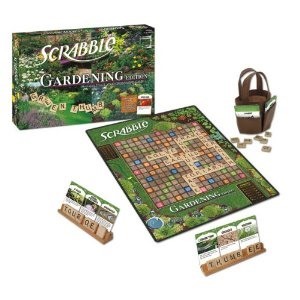 It seems like a great way to introduce Scrabble to friends who are really passionate about cooking or gardening. Have you tried playing them? Scrabble Challenge #2: Can You Find the Highest Scoring Move? 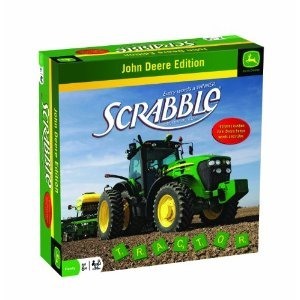 News: What Does Presidential Candidate Tim Pawlenty Have to Do with Scrabble? Nope. These are new to me. The John Deere one is kinda ridiculous. I'm going to have to add this to my list (http://bit.ly/hv7Rwa) which already includes National Parks, Star Trek, Wizard of Oz and The Simpsons. But somehow, Cooking, Gardening and John Deere are a little odder.